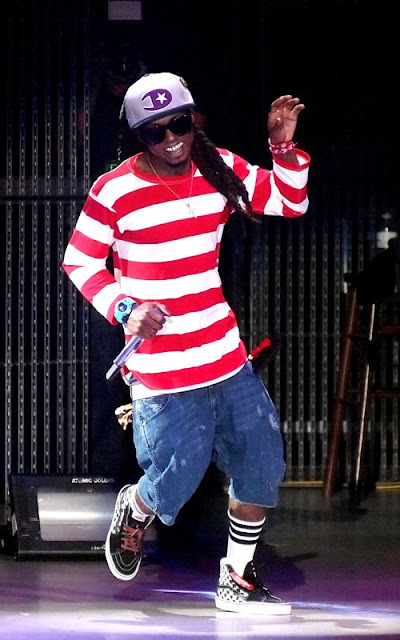 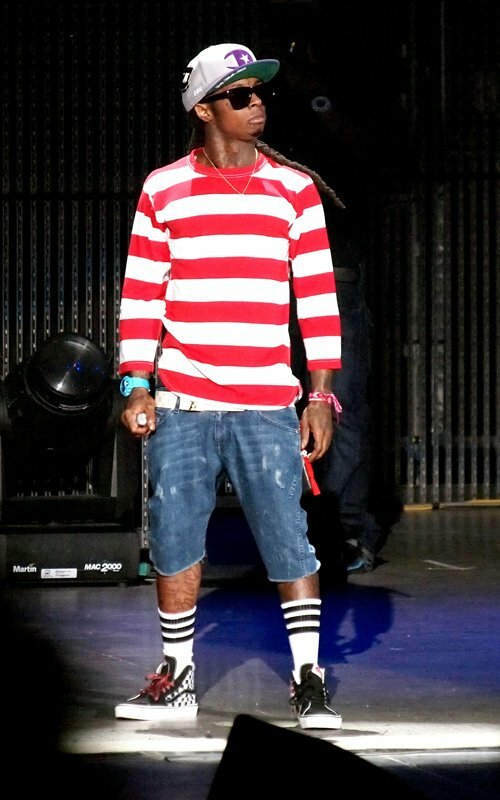 Check out Lil Wayne's skateboard look! 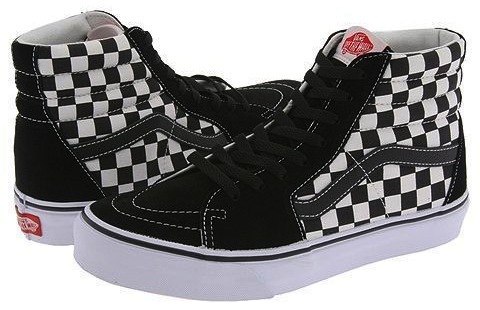 He was wearing a skater inspired outfit with a hat, striped shirt, jean shorts and Vans Sk8-Hi Sneakers ($55) in black checker. 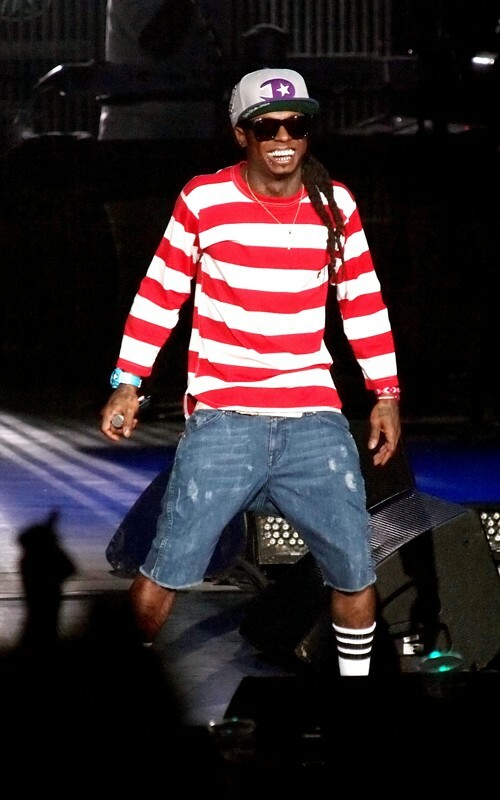 He was also wearing a Louis Vuitton Initiales Damier Azur Belt ($460). 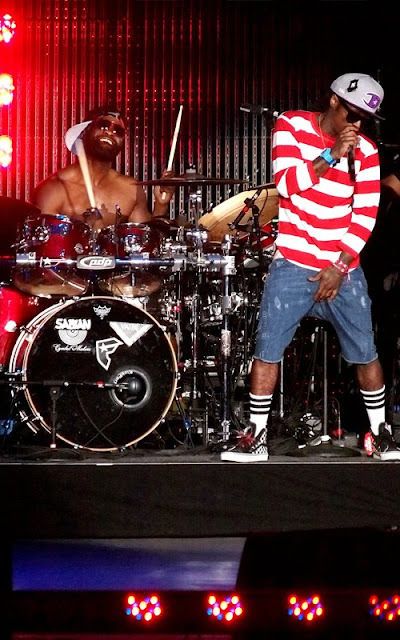 Lil Wayne was performing in Canada during the I Am Music Tour!